March in Maine is horrible. It's muddy, it's cold, it's still snowing at the most inconvenient moments. And, worse yet, Mother Nature teases us with a balmy, sunny day sprinkled in here and there. All of us who live here can predict that March will be miserable, every year - yet's it's still hard to endure. "March is when I am overtaken by the urge to throw out all my possessions, put the house on the market, shave my head, and start over," local columnist, Heather D. Martin, recently wrote in The Northern Forecaster. Most of you don't live in Maine. But I bet you can relate to Martin's feelings, especially when it comes to work if my inbox is any indicator! The timing does make a big difference between a satisfying job change and ending up back in the same situation, just with a new business card - or worse. Mainers learn that you do not move out of state - or make any big changes, whether filing for divorce or cutting our hair - during March. As much as we might want to! "Back when I was a social worker," Martin writes, "the rule laid down by my boss was 'no one quits in March.' If you still wanted to leave come April, fine. Otherwise, 'it's just March talking,' she'd say. Wise woman." Wise indeed. She was offering the best advice on when to quit. Not when you're in the valley - and want to quit the most - but, ideally, when you're at the relative peak. I couldn't agree more. The worst email I ever receive from a coaching client is the, "I couldn't take it any more and I quit! Can we talk ASAP?" email. My heart aches when I get that. Aches. It's easier to get a new job when we're still in a job. This might feel like a frustrating fact but, in my experience - personally, while hiring, and while working with coaching clients - it is indeed a fact. We typically haven't gotten a chance to fully enact job crafting, which can at the least make our current job bearable while exploring and searching. It may even make the organization a good fit; many of my recent clients have strategically switched job functions within their existing organizations, retaining their sense of community, financial vesting, and seniority while becoming more fulfilled at work. The client likely has not yet built a financial runway, which career coach Jenny Blake describes in her book Pivot: The Only Move That Matters is Your Next One as the financial means to jump from one role to another, perhaps taking a pay cut in the interest of trading money for satisfaction (which 9 out of 10 people would be willing to do, research shows). We'll possibly/probably have burned a bridge - or two, or three - from our impulsive choice. At the very least, we didn't get a chance to clear up whatever was underlying the "bad day" feeling (such as, negative feedback during a performance evaluation, being called out for a mistake we made, or feeling undervalued by our coworkers and superiors over a specific event or interaction). At the worst, we gave an emotional speech a la Jerry Maguire and will be hard pressed to get a good reference. "You don't want to quit the moment you don't like a job because passion can grow over time," says Organizational Psychologist Adam Grant on the same WorkLife podcast episode. Passion is not something we discover, both Grant and Duckworth attest based on research. It is something we develop, a statement with which I agree heartily. Duckworth points out that the first year in any job in particular is difficult and, often, unfulfilling. Quitting on a bad day undermines our ability to develop our skills, begin to feel competent and, thus, start to develop passion for our work since passion is derived from being good at what we do. Perhaps the biggest reason of all: because of the inevitable pangs of regret. My "impulsive quitting" clients spend valuable coaching session after coaching session circling back to kicking themselves: they question why they quit right then, and what would have been possible if they'd held off. And no wonder since regrets are inevitable when we act impulsively; in those moments, the emotional center of our brains, the amygdala, take the reins, cutting off the rational, planning part of our brain, the prefrontal cortex. But once the emotions cool - often as soon as we walk back into our office after quitting - the prefrontal cortex kicks back in and says, "What DID you do?" This in turns gets our amygdala all riled up again - except with the emotion directed at ourselves this time - undercutting our ability to stay focused and take the next steps we need to enact a job search. In those cases, we definitely quit...on a good day. We quit when we have set up a financial runway; job crafted the heck out of our current role, reflected on our strengths, personality, interests, and work-relevant values; prototyped new options through informational interviewing, job shadowing, volunteering and/or side hustling; have networked extensively; and, ideally, have the next role in hand. We quit when we can walk in and it's just like any other totally normal day and we still want to leave...we still know we need to leave. In the meantime, we create a plan, find support sources to whom we can vent on the bad days and who can repeatedly remind us our plan, and we take strategic and concrete actions every day to work toward quitting on a good day. One of my clients was so certain and had done so much prep work that she gave notice the day after a big office party to celebrate a major milestone. Everyone was on a high - including her - and she calmly walked in her supervisor's office and said, "It's time for me to go." So now that it's April, I'm free to leave Maine. I'm free to cut my hair. I'm free to make any dramatic change I see fit. Regret free. But, you know what? This place is pretty darn gorgeous without snow on the ground. And everyone is smiling a bit more without winter coats weighing them down. And, all in all, I'm right where I want to be. Despite March. Or maybe even - although I'd never admit this during the doldrums - because of March and all the gratitude it engenders. What IS Meaningful Work? Do We Even Know? “I want meaningful work,” a career coaching client says during our first call together. Point taken. And commonly expressed! Most of us want “meaningful work,” regardless of our age, but are we clear about what we’re seeking? Until about ten years ago, I couldn’t have articulated “meaningful work” myself - even though I longed for it. And talked about it a lot. This lack of clarity is a real problem. How can we construct meaningful work for ourselves if we have no idea what we’re aiming toward? Thankfully, we can all get more directed in our search for meaningful work by learning from psychologists' efforts. Meaningful work is not the same as job satisfaction, commitment to work, or work engagement, according to a study by psychologist Blake Allan and colleagues that combined data from 44 previous research articles. Their powerful research not only found that these experiences are different from one another, but that meaningful work predicts job satisfaction, work engagement, and commitment. In other words, we need meaning at work if we want to be deeply involved and enthused by what we do. “Meaningful work” is also, interestingly, not synonymous with “meaning.” Meaning is how we make sense of an experience, which we might do in a positive, negative or neutral way, Allan and colleagues write. For instance, if you don’t get a job offer that you really want, you might make positive meaning out of the disappointment by thinking, “I bet this is making room for an even better opportunity to come along;” or make negative meaning out of it by thinking, “this is one more piece of evidence that I’m perceived as too old by this industry;” or neutral meaning might instead arise: “that meant nothing; there will be other interviews.” On the contrary, meaningful work is, by definition, positive. Nobody has "negative meaningful work.” Thankfully! Meaningful work is individually-determined. I asked my career coaching client to share her take on “meaningful work” for precisely this reason: what feels meaningful to you might not to me, and vice versa. The judgment depends on the work-relevant values we each hold: our sense of what’s most important to us. Typically these values relate to our (big, hairy, unclear) existential goals: Why am I here, and what’s worth doing while I am here? We might not always be able to put that into words off the bat (! ), but noticing when and where we gain energy can point us in the right direction. For instance, inspiring and educating the next generation of helpers is apparently a top work-related value of mine because that's what charges me up, consistently. That goal might feel completely pointless to you - which is totally fine...as long as you don't go out and become an educator! Meaningful work is based on an overall judgment of our work, not on our moment-by-moment experience. We all have aspects of our work that feel meaningless. For instance, I’m writing this article to put off making a multiple choice exam for my 200-level students at Bates College. Certainly if I dig deeply enough, I can find meaning in even the understimulating task of exam creation - exams encourage students to study material deeply and provide them and me feedback on their comprehension, thus guiding future instruction and learning approaches - yet, overall, it doesn’t feel meaningful as I write each individual test question. If we do meaningless tasks all day long (meaningless, again, compared to our personal work-relevant values), then our overall appraisal of our work is that we do not do “meaningful work.” Somewhere between either extreme - all meaningless tasks or (the impossible ideal of) all meaningful tasks - is a tipping point that leads us to judge our work as, overall, “meaningful” or not. Based on my work with coaching clients and Bates alumni, this tipping point varies greatly from individual to individual - and can be changed. There are many ways to get to meaningful work. The great news that emerges from research is that we can get to “meaningful work” through many different pathways. That said, two processes in particular lead most of us to judge our work as meaningful: when we growing personal and/or contribute to other people while working. Indeed, ADP Research Institute’s survey of over 2000 participants in 13 countries found that almost 90% of younger workers look for precisely these two aspects in work. That said, since values are individualized, the processes to experience meaningful work likely are, too, and do seem to vary a bit by generation. We don't have to leave our existing job in order to “find meaningful work.” Based on all of these points, there are many ways we can make our current job feel more meaningful, either while searching for our "next" or instead of making the often financially and psychologically fraught big leap. Among many other small changes we can make, we can shift our focus from the meaningless tasks at work to the meaningful tasks; increase the proportion of time and energy we put into the meaningful tasks, if possible; and/or identify the values we are fulfilling through our work and elevate their importance in our life. It may feel easier to do all of this in the “blank slate” of a new organization, industry and/or role, and at times it truly is. I’m a big believer, though, in flexing our muscles of doing these "job crafting" exercises wherever we happen to currently be. The novelty of any new role will eventually wear off, and those muscles will come in handy! Overall, meaningful work is possible for any and all of us; job crafting researchers have shown this to be true in careers of all statuses and financial reward, from hospital custodians to hairdressers to design engineers and more. If we stay clear on what meaningful work is - and is not - then we can not only seek it, but actually find what we’re looking for. Do We Need Meaningful Work? Of the many repeated questions I receive - from reporters; students, parents, alumni, and staff at Bates College; and from my career coaching clients - the most common is whether we need meaning in our work. Certainly the majority of us want meaningful work. 90% of respondents to a survey by BetterUp reported desiring meaning at work. In fact, they wanted meaningful work so badly that they said would trade a portion of their salary to get it. "On average, our pool of American workers said they’d be willing to forego 23% of their entire future lifetime earnings in order to have a job that was always meaningful," Shawn Anchor and colleagues wrote in Harvard Business Review. Almost a quarter of their earnings! And that's in a representative sample of over 2,000 people from a range of industries, ages, and roles. But just because we want something, doesn't necessarily mean we need it, of course. It's a point I make many times a day to my 8-year-old about the "slow rise" squishies for which she yearns, and a difference we all experience whenever we stare down the bakery counter at our favorite lunch haunt. Are we all little more than grade school kids, moaning for an experience that's "nice to have" but equates to little more than decadent, short-lived pleasure? "'We've set the bar way too high for what constitutes meaningful work.' Fraser-Thill shared...Meaningful work is fundamentally about feeling like it's about more than just you. Providing for your family financially counts. Bringing a smile to your coworkers' faces every day counts, too. Fraser-Thill is all but certain that, if we expanded our definition of meaningful work, we'd have a much more satisfied workforce." I am certain that we're all capable of experiencing meaningful work, regardless of our job function, industry, educational background, or level of privilege. Job crafting research indicates as much, finding that individuals in fields as far ranging from hospital custodian to design engineers can change their thoughts, tasks and/or relationships with co-workers and clients/customers in order to move from meaningless to meaningful work. And still, the question remains: do we need meaningful work? We need meaning in our lives. I know that for sure. "People living a meaningful life are very likely to be happier, more positive and more psychologically mature, anticipate brighter futures, take care of their health better, feel better physically and enjoy all of these qualities for a longer period of time before death." "People with high Career Well-Being are more than twice as likely to be thriving in their lives overall." Intriguingly, Gallup's research focused on meaning and purpose at work in particular. Rath and Harter noted, though, that "career" well-being is about how you spend your day, regardless of the income generated. "If you don't have the opportunity to regularly do something you enjoy -- even if it's more of a passion or interest than something you get paid to do -- the odds of your having high well-being in other areas diminish rapidly," they write. So here we finally reach the crux of the answer: we need meaning in our lives in order to be healthy and to, quite simply, keep on living. The way we spend our days creates - or fails to create - that meaning we so very much need. Since most of us also require an income to stay afloat, it follows that spending our paid work hours constructing meaning is a need, not a mere desire. As Annie Dillard so aptly put it, "How we spend our days of course is how we spend our lives. What we do with this hour and that one is what we are doing." Given that most of our waking hours are consumed by paid work (over 90,000 of them in a lifetime, to be exact), what we do with our career matters for our ability to experience meaning in our lives. This doesn't mean we need to pick the "perfect job" or the "perfect organization." Spoiler alert: neither exists. It does mean we need to know from what sources meaning arises, and then actively shape our work lives to maximize those experiences. We all have that flexibility, even if it begins simply, like with a more enthusiastic and genuine "hi!" as we pass our co-worker into the place where we'll spend our day. And thus, importantly, where we'll spend a good chunk of our life. Although I haven’t had time to write original posts on career change and meaningful work in quite a while, I’ve been fortunate to be regularly interviewed for meaty, thought-provoking articles by other writers. I’ll be sharing these articles weekly, with some highlights extracted from each. This week I’d like to shine a light on Karen Tietjen’s article “How To Transition Into a New Career, According to Experts,” recently published in The Zoe Report. "A change should be intentional and thoughtful, with a good deal of time (weeks or months) spent identifying your own strengths, interests, values, and personality type; exploring and actively trying out a variety of paths through informational interviewing, volunteerism, job shadowing, and other means; and a balanced consideration of how your finances and lifestyle will be impacted by any possible change." Read the whole article here to learn about the steps to career change, in sequence. The take-home message: if you’re feeling the itch for “the next thing” there’s truly never a better time to start exploring than right now! You won’t regret getting started, but you likely will regret delaying. We’ve all made decisions about our work lives that don’t match up with who we are and what we genuinely desire. “TGIF” only succeeds as a phrase because society leans that unhealthy way. In my college students, my alumni, my career coaching clients and myself, I see the guiding role of social comparisons in career and work-life choices on a daily basis. Which is problematic in the extreme since, research shows, looking around and judging our choices based on decisions made by others is a sure route to regret, envy, guilt, yearning, and defensiveness, among other seedy emotions. And I’d argue that many of those emotions are bull’s eye centered on our paid work in particular. So how can we clear the comparison scourge and make way for work lives that fulfill and stretch us? I turned to the research to find out. First, let’s step back and consider why social comparisons affect our decisions about career so intensely. Social comparisons are tricky little devils. For one, they’re built into our psychology and then reinforced by society: we naturally determine value in relative terms, not absolute ones, and schools and other social institutions capitalize on that natural tendency. While we can train ourselves out of thinking about success and worth relatively, as we’ll discuss shortly, it takes a good deal of conscious effort. Thinking absolutely simply isn’t our norm. Secondly, social comparisons can have a massive upside: they can bring us joy…IF we’re the person with the perfect resume or the immaculate personal life relative to someone else. And let’s be honest here: in each and every domain of life, there’s always someone you’re besting. Feeling fed up with the drudge job? Our mind wanders to our friend who hasn’t landed any paying work in the past six months. Feeling crappy about a new haircut? Our finger clicks through Dropbox to that photo of our curly-haired friend on an extremely humid day. Feeling icky about lack of direction? We prod someone even more directionless into telling us her woes — again. In other words, if you believe that “success” results from meeting YOUR goals — not the goals of your parents, friends, teachers, or “society” at large — you’ll be less likely to succumb to the agony of social comparisons. The “how” for this step comprises most of my blog posts from the past and my work as a teacher and a coach, so it’s fair to conclude that the process of creating internal standards cannot be boiled down neatly here. That said, you can begin today by simply writing down what you care about most, in a stream of consciousness manner — such as having freedom, connecting with friends, spending time with family, having financial stability, acting creatively, and so on. Then return to the list daily over the coming seven to ten days to add to and edit it, working to also prioritize as you go (tip: putting each item on an index card or scrap of paper can make the process faster and easier). You’ll know you’re done when you haven’t made any changes for three days running. This reflective exercise takes less than five minutes a day, and I’ve personally seen it be life altering. Furthermore, when we’re proceeding through life mindlessly, we’re less likely to notice when we’re turning to social comparisons to serve as a mood booster. In other words, mindfulness provides two ways to quit social comparisons — a pretty powerful cocktail indeed. As we’re all aware by now, there are many ways to practice mindfulness, including meditating, engaging in mindful walking, or even simply remaining aware of small details while eating or dressing. If you’re new to mindfulness meditation in particular — an approach that makes no spiritual claims and has been shown to decrease stress, anxiety, and blood pressure —Jon Kabat-Zinn’s book Wherever You Go, There You Areis a great starting point. There is a bit of chicken-and-egg happening here, but studies show that if you can “find happiness,” you may be less tempted to look at the friend who is climbing the career ladder and has the uber-family to boot. And less affected if you do. Unhappy people make more frequent comparisons and take them more to heart in comparison to happy people. Of course we could fill 15 bajillion posts on the question of how to “find happiness,” but I’ll stick with the psychology-based answer I strongly believe: lasting happiness comes not from fleeting pleasures, but from structuring your life around endeavors that are personally meaningful and that frequently plunge you into a state of flow. And given that we spend about a third of our lives doing paid work, I strongly advocate for not just looking for happiness in our hours of recreation, but also actively creating a work life filled with purpose. One that is not ruled by social comparisons, but rather by your personal sense of mission. I’ve seen many people make such a career a reality for themselves. I’ve experienced it in my own life. Is it easy? No. Does it happen quickly? Of course not. Do you retain it forever once you’ve found it? I wish. But implementing the three steps here is genuinely a great — and tangible — way to start. Your Career Vision: What Would "Everyone" Want to Do? What do you think everyone would want to do, if only they could? What kind of work? In what kind of environment? At what time of day? Under what circumstances? Answering this series of questions can provide you with the single greatest insight into your own preferences - and also into your fears. About a decade ago, I leaned over a paper placemat at Friendly’s and answered a friend’s query about the sort of working life I’d love to have: based at home full-time with no boss, no “team” to have to collaborate with, making my own schedule - which likely would look like working from 6am to 10am, having the middle of the day off, and then going back to work in the evening - writing articles and books that simultaneously self-express while helping others. This took me by complete surprise. So I then launched into grilling her about what did *not* sound good to her about my vision for my ideal work lifestyle, then spent days (weeks? months?) wondering if I was a horribly strange person. Before that day, I honestly believed that I was fantasizing about a working lifestyle that “everyone” would want. In fact, I believed that so many people wanted it, I might not be able to get it because “it” was already taken (as if such a thing could be true). Furthermore, I hadn’t articulated my vision for years on end because I’d taken it as such a given - as something that was so obvious that it need not be spoken. Who doesn’t want to be their own boss? Who doesn’t want to work in their pajamas? Who doesn’t want to spend hours not having to talk to anyone? Lots of people, I now realize. The Friendly’s moment of realization is part of what drove me to want to hear people’s work stories - and, through coaching, to help them construct in reality what had been previously only been in their heads. Through much formal and very informal interviewing and coaching of people from a wide range of ages and backgrounds, I’ve come to realize just how idiosyncratic my preferences are. They are very “me.” Are there others in the world who share my vision of the ideal working lifestyle? Absolutely. Chris Guillebeau, for instance, has made a living stoking the fantasies of people like me. But of the hundreds of clients and students I’ve known, it’s only a small percentage who share my vision - or share a vision with one another. I’ve come to believe that work lifestyle preferences are our ultimate psychological fingerprint: as unique as each of us. So, then, what have you been failing to articulate because it’s “so obvious”? What is your vision of a work life that “everyone” would want? What do you take so for granted that you don’t usually even bother to let it into your consciousness? 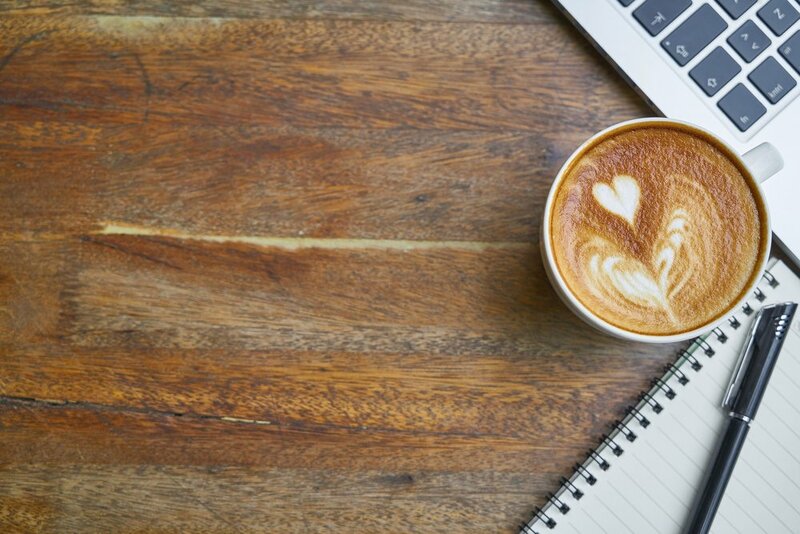 Do you think that “everyone” would love to work with an endless supply of coffee in close reach? Would “everyone” love to interview celebrities? Would “everyone” prefer to spend their day out in the sun? I’d bet most of those examples didn’t resonate with you - yet for someone, one or more of those represent their core assumptions for awe-inspiring work environments. First: DO NOT think about reality yet. 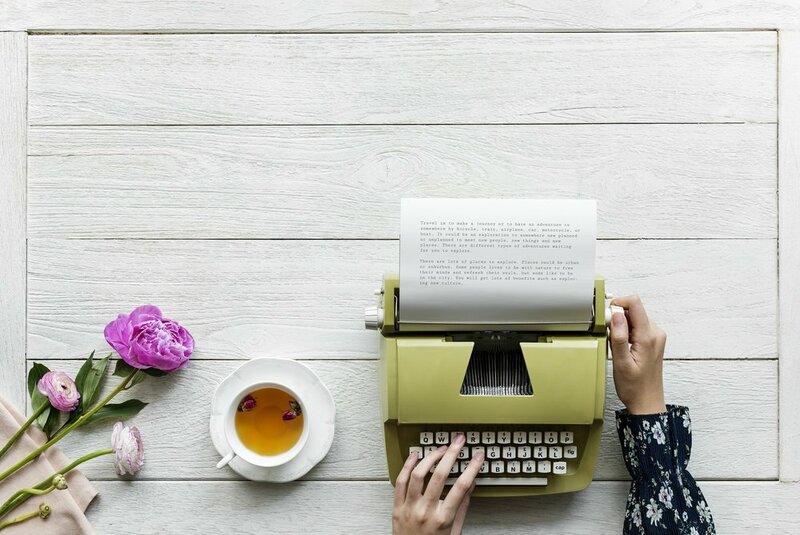 When you hear the pesky voice in your head say, “but that’s impossible” as you consider some aspect of your ideal working life, that’s a sign that you’re on the right track. Write that thing down! Is endless coffee just a dream? I don’t know. I’m not trying at this moment to assess its odds of occurrence. It’s beside the point. If the thought of it makes your pesky voices rise up in opposition, you’re onto something. A good vision should be internally controversial. If it weren’t, you’d simply be describing the work life you already have. And if you’re reading this article, chances are you don’t want to keep working exactly (or at all) as you are. Secondly: Aim to write about the process of the work, not the outcomes of that work. For instance, would “everyone” love to make seven figures a year, especially if that money didn’t come along with a huge lifestyle cost? Probably. But “making seven figures” is not a work lifestyle. It is not a “doing” of something. It’s an outcome of that doing. We actually do tend toward having universals about outcomes - e.g., wanting more time with our family members, wanting more time off in general, wanting money flowing in without having to do anything at all - and so they aren’t that compelling or helpful in our work search process. It’s the HOW that comes before the outcomes that varies from person to person. It’s the HOW that can guide your choices as you move from where you are to where you want to be. It’s the HOW that can unlock the fulfilling working lifestyle you’ve always wanted to have. So take a moment to write down your obvious. What, do you think, does “everyone” want to do? Never Miss an Essay - and get an eBook! Subscribe to get our latest content by email and you'll receive a free copy of my 34-page eBook on making your existing job more fulfilling! Success! Now check your email to confirm your subscription and receive your free 34-page eBook! How Does a Person Build a Fulfilling Life? That's the question that has haunted me for years. Decades even. I wondered it as I read Laura Ingalls Wilder books during my childhood, wondered it afresh as I wandered from college to grad school dropout to unemployed-but-I-know-where-I-want-to-live, and I wonder it still. Every day. In fact, I've been contemplating "how does a person build a fulfilling life?" so much lately that I haven't been able to write one word on the topic. Hence the recent radio silence on this blog (for the first time in 1.5 years!). I'm currently being forced to put into practice everything I've spent years considering, writing about, and researching. My life is undergoing seismic shifts: new career path for my husband, new work opportunities for me, moving to a new home [current status = our house is under contract to be sold and we can't find a house we want to buy...yikes]. It's a lot like...hmmm....being 20something all over again. Even though I just hit my 36th birthday. Proof positive that life is all about cycles of change and stability, forever and always, until the day we die. When things are getting all shaken up, THAT'S when we need to be most intentional and present about building a life that we'll find fulfilling and valuable. But what exactly does that entail? That's a question we each have to answer for ourselves, and the question that has filled my mind much more than it has filled blank pages of late. If you would like a little something to read over, though, check out the terrific interview Cassie Paton at Witty Title Here recently conducted with me. We chat about all things creativity, entrepreneurship and - indeed - creating a fulfilling life. I'm grateful to her for getting me out of my head and down on a page for a few moments! I don't have the answers. No one does. We're all just rubber balls bouncing around this nutty thing called life...and I'm really bouncing at the moment! If nothing else, we'll have a lot of grounds for commiseration when I return because I know that if you're reading this blog, you're there, too. May we all bounce to the right place for us. I'm a rather upbeat person. A glance at virtually anything I've authored tells that story. That said, I'm also a firm believer in truth, and sometimes "upbeat" and "truth" conflict. Welcome to your personal tour of Sacrifice City. First, a clarification: when I encourage the pursuit of meaningful work on this site, I am, in essence, endorsing a lifestyle choice. The search for and retention of a life filled with purpose and deep life satisfaction isn't some fad diet we pick up and try for 10 days to see if it'll fit. On the contrary, such a life arises from consistent and committed choices made over the course of hard-fought decades. I believe the 1000 older adults psychologist Karl Pillemer interviewed who all - all! - DID NOT say anything resembling "to be happy you should try to work as hard as you can to be able to buy the things you want." I believe researcher Martin Seligman and his positive psychology breathren who find that life satisfaction comes from deep engagement and meaning in life, not from pleasures and "feeling good" in the moment. I believe my mind when it wakes me up early to sit down at a task I care intensely about, and my heart when it spends summer long days with my family on the beach instead of in an office, padding my paycheck. But anything worth having comes with sacrifice. And right now, I'm feeling it. Staying true to my upbeat nature, though, let's first consider the benefits I've gained through a commitment to meaningful working - and living. Benefits I believe any of us can reap, if we want to badly enough. How many sick and vacation days do you get a year? Related to freedom, autonomy goes one step further, into the moment-by-moment decisions of my day. I pick what I want to do when. Some tasks are non-negotiable - like, say, grading papers and exams - but precisely when they get done on a given day is up for grabs. In contrast to the work-structure questions I can't answer, there is one question I can answer without pause: "Why?" Ask me why I'm doing just about anything in my life and I have an answer. A personally meaningful, deep-seated answer. That's not for nothing. Researchers find that 100% of respondents say "relationships" create meaning in their lives. 100%! In a society where we can't agree whether we prefer the cookie or the cream in an Oreo, that finding seems pretty compelling. So my husband and I have both made conscious decisions to maximize family time, including taking jobs that give us summers off (and thereby foregoing the many better-paying and potentially satisfying jobs that don't meet this requirement) and choosing to turn down freelance and coaching gigs (athletic for him, career for me) to have late afternoons together year-round. Good stuff, right? Absolutely. I'd make the same decisions a thousand times over to gain what I'm so fortunate to currently have. Yet there comes the moment of reckoning when you have to look hard in the face at all you've sacrificed to get what you have. We're talking here, of course, about the ol' four-letter word that always accompanies benefits: cost. Without a doubt, the most notable cost for my life's many benefits is money. The big buckaroo. The almighty dollar. The smacking smackaroney. Wait, that last one didn't make sense. The point is, there's a whole heck of a lot I'm not going to have in life because I'm so committed to meaningful, purposeful living. And sometimes it makes me downright ill.
At this very moment we're preparing our house to go on the market and searching for a new home in a community with strong schools and highly engaged parents. Shorthand: we want to move to a place where a good deal of money is flying around. Put another way: we're looking to move where we can't afford to be. Speaking of which, here's a great way to get acquainted with meaningful working/living costs: Spend a Sunday afternoon house hunting. Drive by the houses that are too "low-income" to warrant an open house. Step inside the "fixers" you can barely afford. Then torture yourself a bit by visiting a house $100K or so outside of your price range. Before long, "meaning", "freedom", "autonomy" and "family time" become a jumble of nonsense words an infant spews out at the dinner table. Seriously, as of last night I wanted to take my high-values, eye-on-the-big-picture, creating-a-life-I'll-respect self and shake the bejesus out of her, screaming, "go off and finally accept a fricking job that'll pay you what you're worth and will enable you to afford a house in which you and your kin can stand upright in the bedrooms!" We've occasionally touched on money at Working Self in the past - most directly in Money and Happiness: What's the Right Balance? and less so in the recent How to Pursue Creative Passions While Paying the Bills - but I don't write about money often because I honestly don't think about money often. Again, an amazingly fortunate situation, I know. To be clear, it's not that I don't think about it because I have so much of it - cue the laughing cat there - it's because I don't typically see the value of beyond-basic-needs money. I learned early on that the best way to stay true to a meaningful lifestyle is to steer clear of commercial traps like, say, the mall, or magazine ads, or, well, just about any public place in our society. Bottomline: when I don't look at all I'm not able to have, I don't realize what I'm missing. That way the benefits are free to loom large and splendorous in my mind, enabling me to continue to make the tough calls in life, like turning down a ten-thousander in exchange for some quality family time. The real estate search, however, unavoidably flips this whole approach on its head. Why am I bothering to tell you all of this? Truth in advertising. You need to know what you're choosing when you say, "I want a job that feels meaningful." Or, "I want to create a life I can feel proud of." Or, "I want to make a difference." What are you willing to sacrifice to have those things? Seriously: how much are you willing to give? Bottomline: we have to be 100% clear on that answer before starting pursuit of a life filled with meaning and life satisfaction, or else our commitment to the path will prove as steady as Russell Brand's commitment to Katy Perry. Intentionally and actively creating a meaningful life necessitates looking at the whole picture - the entire, un-airbrushed, ugly cracks spidering from the edges sort of picture - and considering whether we've truly got the stomach for it. Maybe in your case what feels meaningful will also happen to be lucrative. Kudos on your luck, if so. For most of us, however, the path that picks us can cover the bills (and only after some major strategic tweaking), but it ain't gonna buy us the house we always imagined our children growing up in within the sort of neighborhood where parents invest time and energy into being present and aware. I trust that my future self won't care about the latter part of that sentence. I trust that she'll review her life and think of the memories made within the walls of the ranch house she never wanted, not the "cozy" square footage encased within those walls. I trust that she'll know she conducted the right cost-benefit analysis for her and her family, and will have great dignity and integrity about her choices. My current self, though? The one who wants a hit of in-the-moment pleasure now and again? Quite honestly, she's feeling quite blue. And that, my friends, is the whole picture. 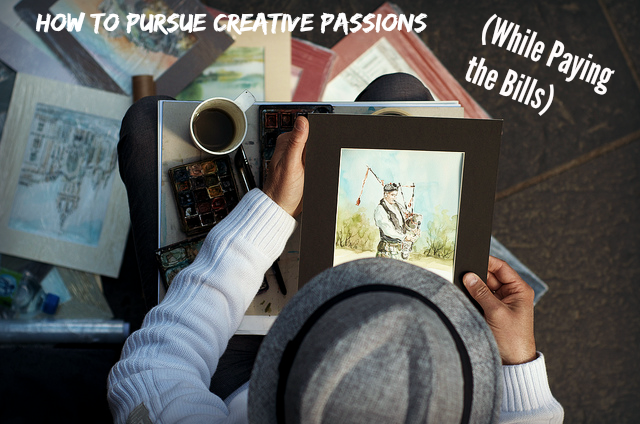 Last week we discussed how to pursue creative passions while paying the bills. The best way to truly tackle this topic, though, is to hear from someone who is actively doing it. Enter today's interview!P.C. 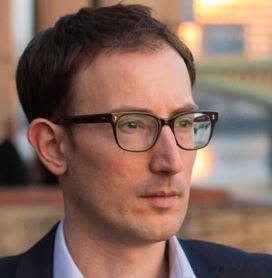 Dettman is a thirtysomething UK-based fiction writer, software consultant and trainer, blogger, and owner of a business that invests in and advises entertainment industry experts. Not to mention a family man. In other words, P.C. knows a thing or two about putting food on the table while staying in touch with the creative writing that "found him" when he was 9. What were the biggest hurdles you had to overcome in your 20s? My 20s were a total nightmare, even though I had a good job [as a software consultant based in London] and all that sort of stuff ironed out early. The nightmare came within a year of starting work, and it was simple really: I didn't want any of this stuff. I mean that I wanted nothing of what had been planned out for me, and it hit me so suddenly, like within 6 months or so, that the whole consultancy model was basically evil, it was flawed, and it wasn't right for me. But the thing was, and the reason this was a total nightmare, is that I had already decided I was never going to do a standard office job. I worked my summers, and I seriously could only do 12 weeks of that before I was bored and demotivated and almost ill actually. It made me really quite low to think of doing 40 years of that. So I hit the consultancy thing straight out of college, I have all the grades and friends and money and I'm in London and flying around the world every week and getting paid to do that, and I physically hated it. I really did. My body rejected the hours and the exhaustion, and my mind rejected the whole thing. And I had no idea how I could live another year, by which I mean I had no idea how to earn my living if not like that. I just felt there was nothing available to me that would pay the kind of salary that would impress my friends and family. Crazy! So how are you paying the bills these days? I've realised that there is no money in writing novels. Even people I know who have 'real' book deals with 'proper' publishers can't earn enough to do that full time. Realising this would be a hobby and not a job has taken lots of years. That industry is just so hard to get into, even if you put in the legwork and build up some contacts, that a rational person would not become a full-time author. Right now, I am trying out a few different things to see what works. The good news is that I have a bit of money put aside if times get really tough. Everything I read about saving money I agree with and happily pass on. You can never save enough money. However much money sounds like a lot to you, it isn't. This is the biggest secret in life: there are no rich people. What do I mean by that? I mean however much you have, you can always spend more, and the more you have, the more you run up outgoings like fancy cars and boats and palaces and that stuff - the more you make, the more you need. So nobody is actually rich. I believe this. I'm dabbling in some theatre investments in the West End (that's our Broadway) and doing some freelance writing, but that doesn't pay too well either. My main income in future is likely to be from consulting and training people in the various software tools I've become expert at. For me, training is specifically the thing that manages to combine my writing and talking with computers, and at the same time makes some good money. That gives me time and space to pursue the kind of fun things like novels too. It is a constant juggling act, I never feel that I totally have it down, and I think that's also good. Challenge and uncertainty keep you fresh, as does adversity. You need to face adversity and come through it, and you will no longer be afraid. Can you tell us more about how you balance creative writing with making money? In the early part of my career I totally went towards making money at the expense of my creative work. I saw doing a job as the easy option, the easy short-term money option, and it was, and is. The hard part is stepping back, realising it's not working for you, and then figuring out what to do instead. All of that took around 15 years, believe it or not. Sometimes having kids is when people realise it's time to get a steady job and settle down, but I did it the other way around. I settled down at 18 to do the safe thing and now I feel it's time to do the right thing, the creative thing, and properly give that a try. I want my daughter to know who I am, and know that it's okay not to do the safe thing. I'm reading Morrissey's book right now. He says something like a safe life is not living. I agree. What's your advice for 20-somethings as they pursue meaningful, self-driven work? Whenever you read advice like this, and it's from someone older than 35, I think you get one of two answers. It's sort of along the lines of well, I did the right things and you should follow me and do your time and get promoted and work in an office and have a pension and paid holidays and you'll be comfortable and happy. That's one type of answer, but it's not mine. My advice is that people need the courage, and it really is courage, to follow their dreams. If you don't do that, you may get through the next five or ten years and have a nice life with a big house and that stuff, but you won't ever be happy. You'll be comfortable, you won't starve or lose your house, but you won't be alive. Your family and friends will think you're awesome and you'll all feel awesome together, but it's a giant lie. You need even more courage for this if you had an expensive education and you have a professional family, because the unspoken pressure to conform will be gigantic. The second you take a step off the expected path, you'll face criticism either spoken or not, and the further you stray, the greater the pressure from friends and family. Especially if those people are all doing dull office work! Boy, you're going to need nerves of steel but that's what it takes. Worst case scenario, you end up following the herd, but you won't starve. Best case scenario is that you'll be happier than your old friends from the days when you just did what other people wanted. To me, that's worth taking a chance. If I die knowing that I always held myself to certain standards, no matter what else happened, I will have done the right thing, and I'll hopefully be happier that way. You have to be able to look yourself in the eye, when you look in a mirror. I'm my harshest critic, and you need that skill, but you shouldn't dwell on mistakes. Just roll with them and you'll be fine. As a writer, people always say everything bad or good is just material, and there is truth in that. Your 20s are about finding out who you are, so that you can become a great person, whether that be a parent or a great leader of business or some political thing. Whatever it is you're aiming for, you need to know yourself before you can do any of it. Have a question for P.C.? Pop it in the comments below! Q: "What advice would you give to millennials trying to pursue a creative passion in the arts who also need to pay their rent. I'm having a life-crisis trying to figure it out and I think I'm not alone. I expect my passion to become my career but what do I do in the meantime so I'm not racking up debt?" Olive B. Persimmon, @Olivebpersimmon A: I love this question because it's the story of my twenties. I wanted to be a fiction writer so I worked extremely hard toward that goal. (The Grand Tally: 10 years; 2 writing groups that met monthly for years on end; 5 week-long writing conferences; 4 weekend writing conference; purchase of enough writing books to currently inhabit 1/10th of a 10 x 20 storage unit; more rejections than I can count; lots of tears; many extraordinary moments of insight). Following all of THAT, here's my totally subjective advice on making life work when our passion simply won't pay the bills. The sentimental image of the starving artist isn't a life I'd suggest. I've known people in this boat; instead of being creatively free, they're too overwhelmed by day-to-day realities to create much of anything. I spent years rich on creativity but poor on money, yet without carrying a hair of consumer debt. The stability of work freed me to be fully present for my art. Not a morning person? It may be time to change. Sure, we can create in the evenings. Late nights work for many people. That said, I'm a big believer in the age-old advice that if you want to prioritize an activity high, you should do it first thing. When my coaching clients re-order their day in this way, their prized activities suddenly get done. Consistently. By the evening it's too easy to make excuses. The drag of the day often overpowers the weak willpower that's fighting to get us to sit down in front of the computer or go into the studio. That's human nature, not a character flaw. So I spent three years diligently waking up at 5am to write fiction. 5am. (Then I got "lazy" and started waking at 6am instead.) Sometimes I felt angry that I "had to" wake up so early, until one day it dawned on me that getting to pursue art in any measure was a genuine luxury. And also that it was my choice to do so. "By the time I walk in the door of my office, I feel like I've already lived a worthwhile day. Whatever else happens - good or bad - it doesn't matter because I've already had the sort of day I wanted." That said, hard work with no reward can be grating. With a few curse words thrown in. For all my Grand Tally of fiction work, how many pieces were published? Q: Do you enjoy the experience of making your art? Q: Do you think what you're gaining from doing the work itself is worthwhile? Q: Then if you never, ever make a dime off of it, or never have anyone read it, wasn't it worth it in and of itself? Reframe: None of us will ever make money nor have an "audience" from exercising yet many of us do it. It's for the experience of it, not the outcome. You get to decide if this is enough. If it isn't, then stop writing. And don't complain about your choice. I do not - in the least - regret spending years developing my creative writing skills with no readily-observable "output." Those were some of my most well-lived years of my existence to date. Rich, full, genuine years. Bottomline: If you don't like something about the act of creating art - not every day, mind you, because sometimes it's a slog! but on many days - then is it really your passion? There comes a point, though, when creating without an audience feels a whole heck of a lot like navel gazing. That's when it's time to consider what Chris Guillebeau calls "convergence" in his book The $100 Startup. If we truly need an audience - and their dollars - to continue our pursuits, then we simply have to consider what the world wants and needs. Not what we wish they would want and need. Along those lines, the field of creative entrepreneurship has a ton to say about creating financially sustainable art. My favorite blog on this topic is The Thriving Creative by actor Steven Sparling (who is now studying for his doctorate in the field!). As we move from #3 ("I'm creating art for the act of itself") into #4 and #5 ("I need an audience"), our art tends to change. Drastically. You don't HAVE to make that move, mind you. You can forever pursue your art on the side of a paying job and live a wonderfully full, meaningful, purposeful life. By 30, though, I was ready to move on. That meant getting 100% clear on the IMPACT I wanted to make through my writing, rather than being hung up on the TYPE of creating I was doing. I came to recognize that my long-standing goal was to enlighten people's understanding of human development and meaningful living. Fiction is one way to reach that goal. Writing non-fiction magazine and online articles is another. I suspect you know what path I chose. This did not occur altogether consciously nor in an instant. It was a subtle shift - mornings spent on fiction some days, on non-fiction others - until I accepted that the reason none of my fiction was being published was because, quite frankly, I didn't want it to be . It stunk and I knew it, so I shot myself in the foot at every turn. Non-fiction is my forte. In part because of the decade spent developing the craft of writing. Regardless of genre. Lo and behold, when we accept our strengths - not what we wish our strengths would be - deep satisfaction...and the money...begins to follow. A parting mantra: it's not selling out if you're led by what's inside you.